ET VOILA..C’EST TOUT 🙂 BON APPETIT! When me and my siblings were young, and for as long as I remember my mother used to make this meal at least once a month. She liked to have HEALTHY children. And by healthy I mean she wanted us to be fat! Regardless, there is nothing more comforting than tucking into a bowl of hot stew, especially as the warm weather starts to cool down and we need crave some warming comfort food. 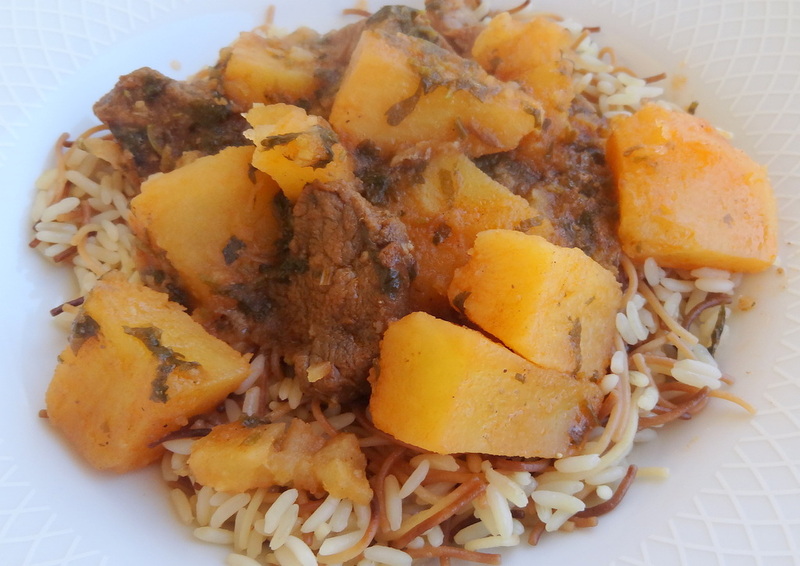 We Lebanese always serve our stews with rice, but if you feel that you would rather not it tastes just as good without. Hi, I know I have not posted anything in a few days. But believe me, I have been cooking everyday. Now, the summer has started, and my children are coming to Lebanon to spend their vacations, so I am very busy with my children and my grandchildren. Also, I changed the theme of the blog, and I have been trying to choose pictures for the banner 🙂 It hasn’t been so easy. 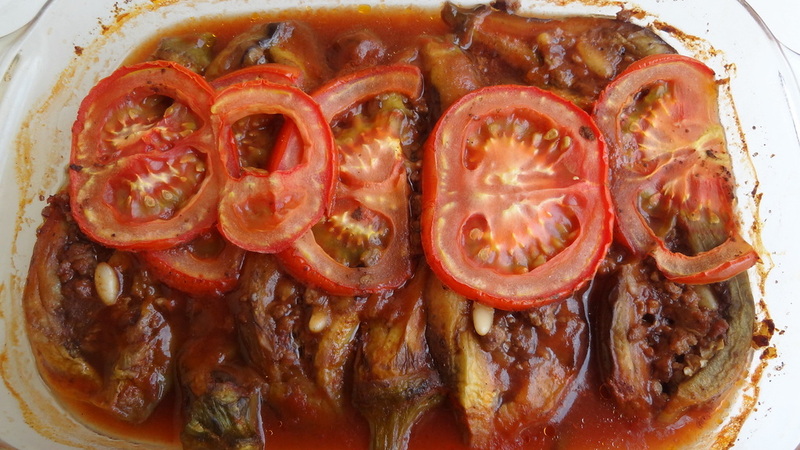 About the recipe today, Sheikh El Mehchi, it is called so because the eggplants are stuffed without removing their tops, so it looks like the head of Sheikhs. Tomorrow is the 21st of June, the official first day of summer and the longest day of the year, or the summer solstice. It is also Father’s day in Lebanon, so make sure to wish your father a good one if you haven’t yet! Its already unbearable to sit in this heat without air conditioning. 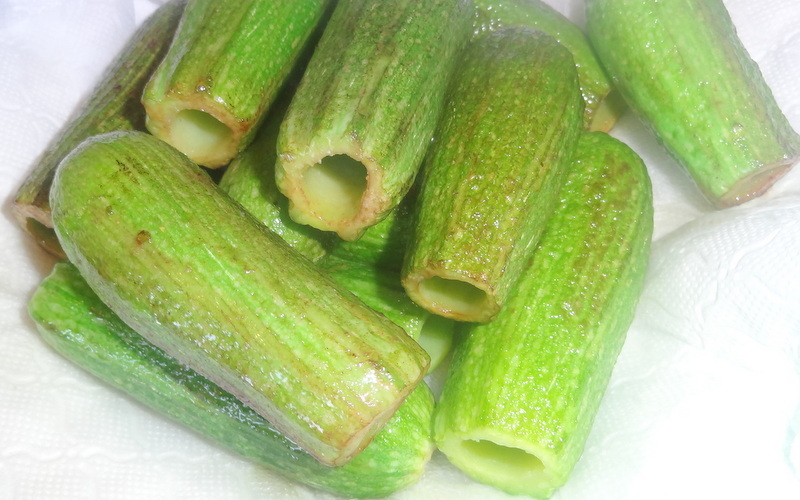 During this hot weather we eat vegetables, a lot of vegetables, to compensate for the water loss from sweat. This is why I’m making a salad everyday before having the main course. Today, I decided to have a meal which includes vegetables. Using what ingredients I could find in my fridge, I put together this lovely meal. 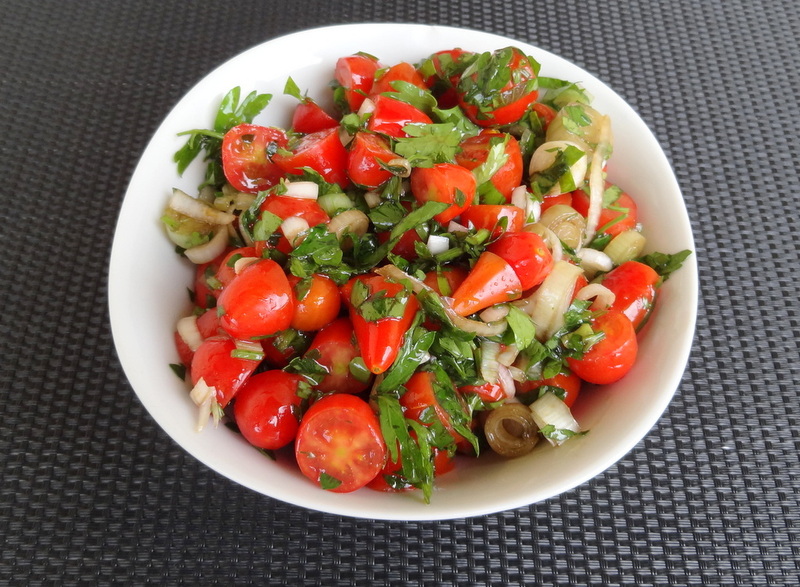 Mix: lettuce, tomatoes, cucumbers, spring onions, green pepper, some leaves of purslane and green thyme. For the dressing: salt with balsamic vinegar and extra virgin olive oil. Today, the weather is very nice, sunny with a little breeze, just the spring time before the venue of the summer. This is why I decided to make something quick and yummy for lunch today, to have time to enjoy going out on this lovely day. 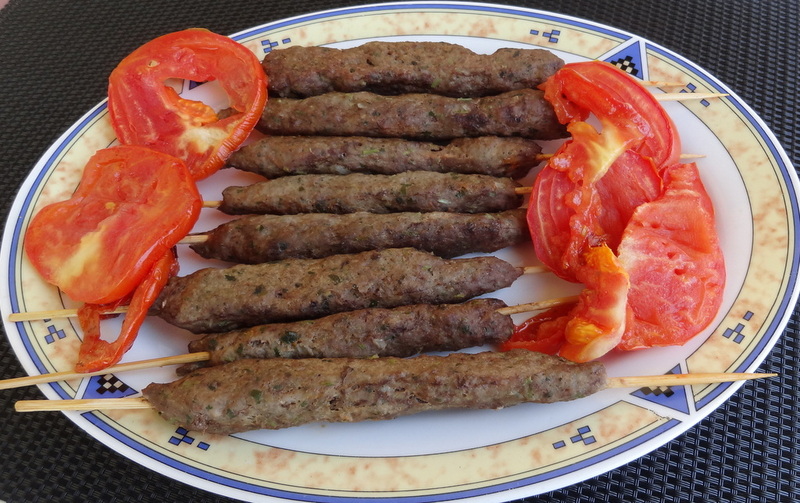 I thought grilled kafta with boiled potato salad and cherry tomato salad would be a perfect combination. In previous posts I cooked the kafta in the oven with potatoes and tomato sauce, and also with tahini. Today is a new way of making the kafta. Place the chicken in a large pot, cover with about 2 liters of water, place on fire and let it boil. Every once in a while I like to have a light dinner, myself and my son. Especially after heavy meals for few days in a row. 🙂 This is why last night, I decided to make for dinner just a salad and steak. 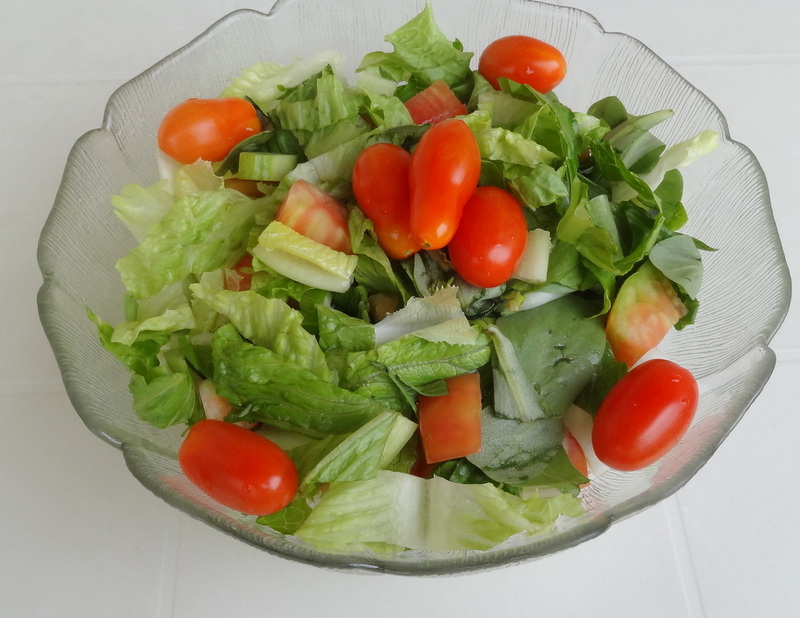 I chosen to make the steak with garlic and lemon, as for the salad I made it with cherry tomatoes which are in season and has a nice lemony taste. 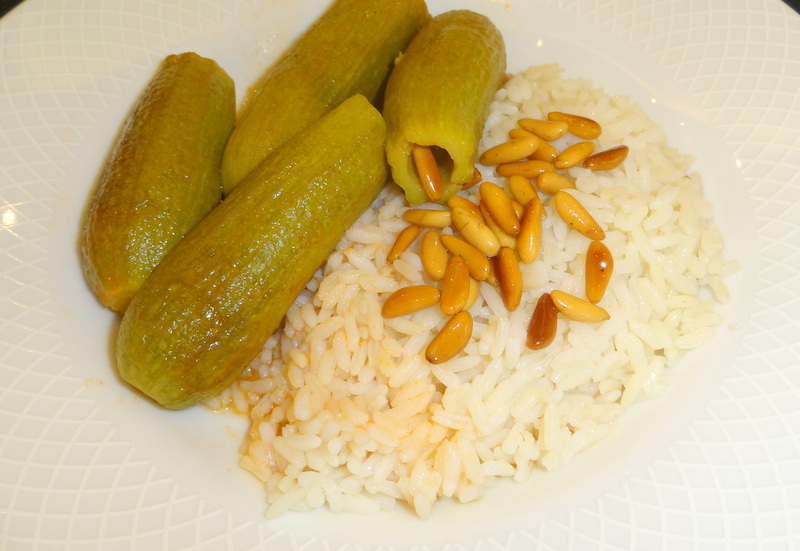 This is one of the most exquisite traditional Lebanese Meals. In the old days people would use every piece of the sheep – waste not, want not. 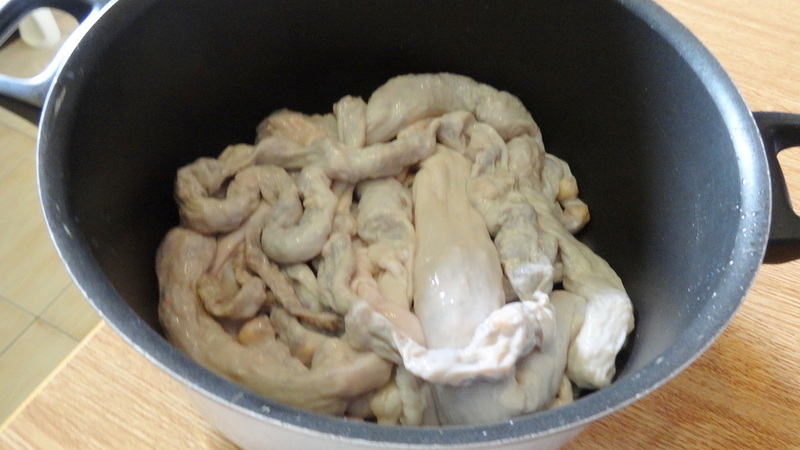 After making sure they used all the meat for cooking in many different ways, they used the wool, the head, the bones, etc… and even the intestines. They found a way to stuff it and cook it in a DELICIOUS recipe. 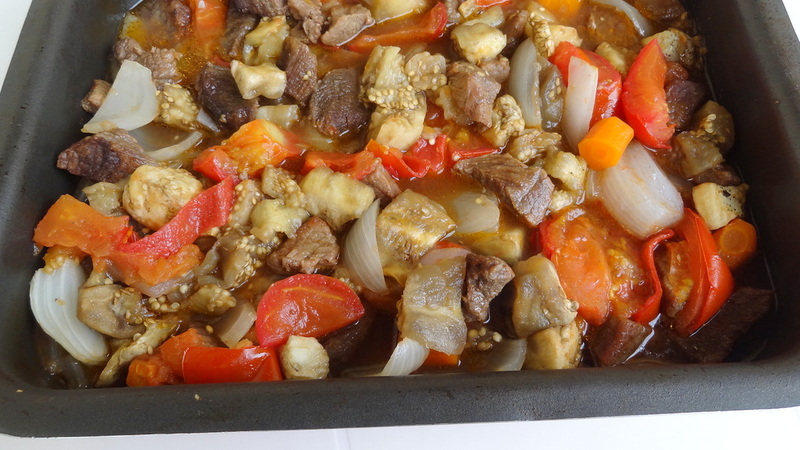 When my mother used to make it, every body knew that she was making Fwaregh for lunch, because while cooking, this meal has a very special and nice aroma. The main work consists of cleaning the intestines. It has to be washed in running water several times. The extra fat stocking on the sides shall be removed, keeping the small parts because it helps keep it moist while cooking. 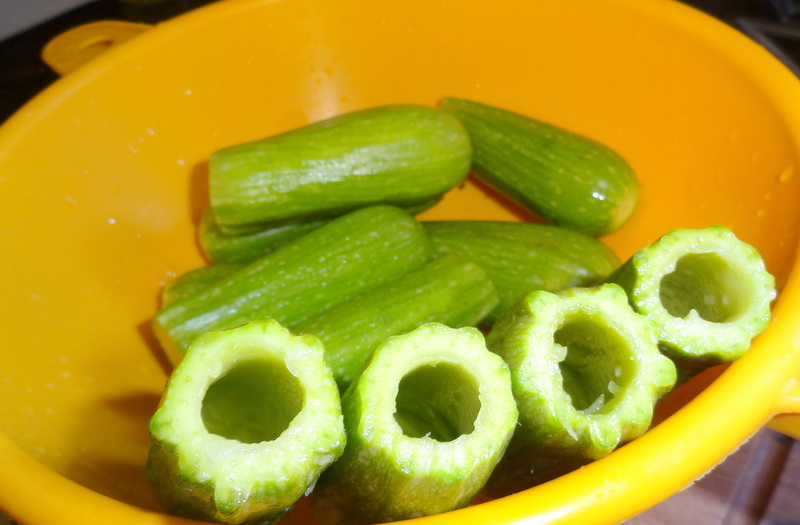 After washing (from inside and outside) it should be rubbed with salt and water, then soak in water and white vinegar for an hour (1 cup of vinegar for 4 cups of water). Now it is ready for stuffing and cooking. 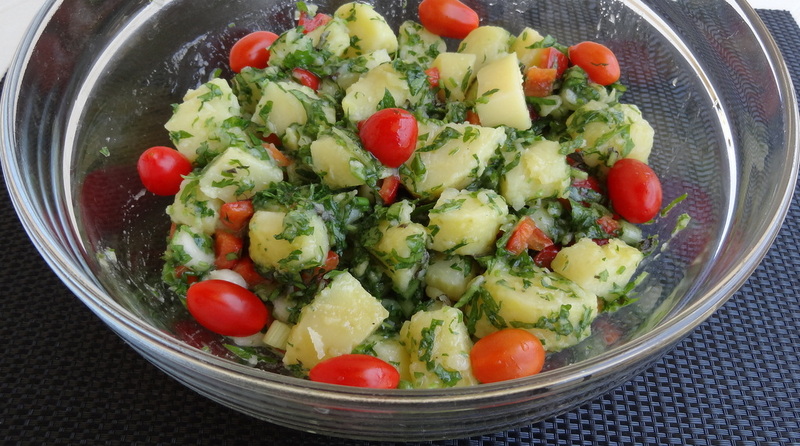 Serve it with crushed 2 cloves of garlic mixed with 1/2 teaspoon salt, juice of 2 lemons and few drops of extra virgin olive oil, or with red vinegar.